With so many options available now, choosing the right toothbrush can be a difficult decision. 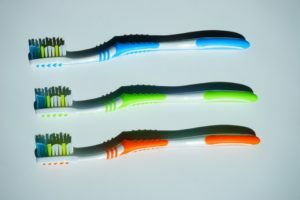 Soft or hard bristles, electric or manual, flexible neck or rigid, and dozens of other options are all things you’ll need to think about before selecting your new toothbrush. Soft-bristled brushes with small heads are your best bet. This type of brush gently cleans teeth and gums, and the smaller size helps clean hard to reach places in the back of your mouth. It also helps prevent scrubbing too hard, which is a common mistake we see in brushing teeth. There isn’t much difference in effectiveness between an electric and a manual toothbrush if you consistently brush your teeth long enough (we recommend at least 2 minutes), and thoroughly enough (covering all areas of the mouth). If you suffer from arthritis or another dexterity issue, it may be easier for you to brush with an electric toothbrush. Avoid cheap toothbrushes that aren’t approved by the ADA. These brushes can have numerous problems, including unsafe components, poor durability, bristles that have sharp or jagged edges, and bristles that fall out. Which are the most important options? Whichever ones that will help get you to brush regularly! 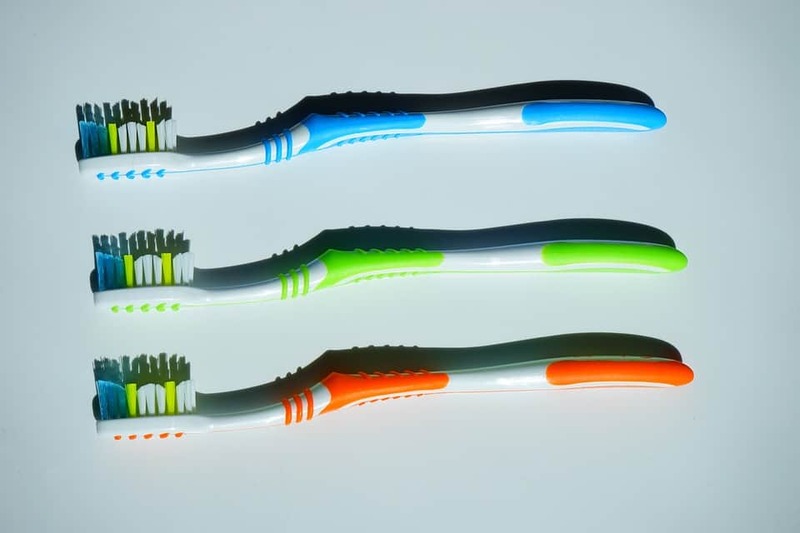 These include the type of handle, the shape of the toothbrush head, and the style of the bristles. Following these simple guidelines will help ensure that you have the proper tool for the job. Don’t forget to replace your brush any time is begins to show wear and tear. We usually recommend changing your brush every three to four months, and even more frequently than that for children’s brushes. Posted in Informational and tagged choosing a toothbrush, electric toothbrush, manual toothbrush, toothbrush on November 29, 2016 by admin.